BEIJING -- In less than four years, Beijing will stage the 2022 Winter Olympics and become the first city ever to host both the Summer and Winter Olympics. The ancient metropolis is now gearing up to deliver an unforgettable winter Olympiad. Venue construction, marketing development, and other aspects of the organizing work are accelerating at an astounding pace. IOC President Thomas Bach, at the IOC executive board meeting in Lausanne last week, said the preparation work of Beijing 2022 has set a good example of "Chinese efficiency". 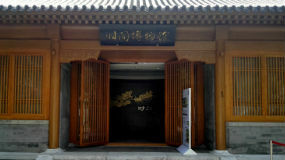 After being put on hold due to harsh winter, the construction of venues in Zhangjiakou zone was resumed last week. With less than two years to go before the test events, the construction of competition venues has to be finished before the end of 2019. Although the schedule is tight, the organizers are confident that they can get it done. Liu Yumin, an official from the planning and construction department of the organizing committee, has told Xinhua that construction is proceeding smoothly and will be completed to the highest standard. Beijing 2022 will utilize 25 competition and non-competition venues located in three clusters, downtown Beijing, Yanqing district and Zhangjiakou. 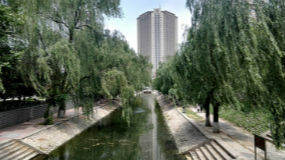 The downtown Beijing cluster will be home to four Olympic winter sports, namely curling, ice Hockey, skating and the newly-established event big air. It will group 12 venues, including eight from the Beijing 2008 Olympic Games, three newly-built and one temporary. Many venues planned for Beijing 2022 are legacies from the 2008 Summer Olympic Games, such as the National Stadium, which is known as the Bird's Nest and will stage the opening and closing ceremonies of Beijing 2022, and the National Aquatics Center or the "Water Cube," which will be transformed to host curling event. 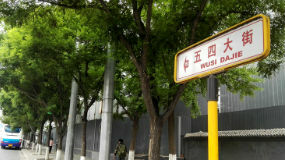 In addition, ice hockey will be held at a converted arena in Wukesong, which was used for basketball competition in 2008. "Beijing 2022 can set a new benchmark for a sustainable Olympic Games -- benefiting from the legacy of the Beijing 2008 on one hand and developing a new winter sports destination in a sustainable way on the other," Bach told Xinhua at the Pyeongchang Winter Games in February. Sitting in the Olympic Forest Park next to the Beijing 2008 tennis facility, the newly-built National Speed Skating Oval, dubbed the "Ice Ribbon," will stage speed skating at Beijing 2022. 22 separate light strands (or ribbons) flow up to surround the oval, representing the speed that this sport involves. At night, the facade creates an exciting spectacle, with each of the strands becoming dynamic ribbons of light, able to change to an endless array of lighting programs. IOC vice president Juan Antonio Samaranch visited China in April to attend the 4th IOC-Beijing 2022 Project Review, and the 59-year-old was impressed by what he saw during his visit in Beijing. "They are very proficient. They know what they are doing. They know what they have on their hands," Samaranch said. "We've been reviewing the venues. They are to the utmost standards of any international federation. So, when they are built, they will be the best venues in their particular specialties in the world." Zhangjiakou, located in the northwest of Hebei province and about 180 kilometers away from Beijing, will be home to skiing and biathlon with the use of eight competition and non-competition venues. A high-speed railway which links Beijing and Zhangjiakou is being under construction and the testing is to be completed by mid-2019. The route is considered historically significant as the Beijing-Zhangjiakou railway, China's first independently-built railway, opened to traffic in 1909. The new trains will be based on the Fuxing bullet train design and are capable of reaching a speed of 350 kilometers per hour, which means the traveling time between the two clusters could be reduced to 50 minutes. To keep the promise of delivering an environment-friendly Olympic Games, the city of Zhangjiakou is also cooperating with the International Renewable Energy Arena to support relevant energy initiatives. With this effort, Zhangjiakou aims to generate 50 percent of its power from renewable energy sources by 2020 to help make the Beijing 2022 the most sustainable Winter Olympics in history. Beijing 2022 is also trying to learn from the previous host cities' experience. During the PyeongChang Winter Games, Beijing 2022 sent 254 staff to PyeongChang to work with the local organizing committee and learn from the frontlines as an official observer. A great deal of brainstorming has been launched during the past two weeks, in which participants from the Beijing Organizing Committee, relevant government departments, venue owners, designers and other stakeholders of Beijing 2022 are summarizing their practical experiences at the PyeongChang Games and providing assistance to Beijing 2022. Xu Jicheng, 58, an official from the media and communication department of the Beijing 2022 organizing committee, spent over three months in the Jeongseon Alpine Centre to learn how to operate a Olympic-level ski resort. "I wrote a diary of my 102 days' work in Jeongseon, which covers the design of the Alpine Centre, how the snowmaking system works and how to set up the working staff team for the centre," Xu said. When bidding for the 2022 Winter Games, Beijing has drawn a vision that the host of the Games will boost the winter sports across China and has made a promise to encourage 300 million people to participate in winter sports around the country. The efforts have already proved successful, with participation in winter sports having increased by 30 percent per year in the past three years. The organizing committee is also cooperating with local sports and education departments to promote winter sports on campuses across the country. In late 2017, the organizing committee unveiled its emblem for 2022 Winter Games, named "winter dream." And now, Beijing is marching toward its winter dream, readying itself to host a "fantastic, extraordinary and excellent" Winter Games in 2022.